There’s nothing much to say about Dr. Bhupen Hazarika that hasn’t already been said or written. As millions mourn the demise of this multi-talented Assamese legend, one can’t help but bear in mind the legacy that he has left behind. 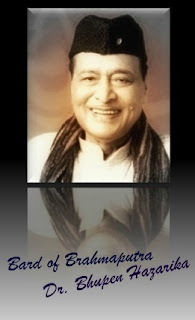 Although it is his baritone voice, his melodic compositions and heart rendering lyrics that has established his repute, Dr. Bhupen Hazarika had many layers to his creativity. Dr. Hazarika was a prolific playwright, actor, journalist, author, lyricist, poet, politician and a film-maker. “But there are others like him”, one would say. So what is it that makes Dr. Bhupen Hazarika the marvel that he is considered as? To begin with, Dr. Bhupen Hazarika’s music, his collaborations with the creative and the intellectual world placed Assam in the cultural map of a global spectrum. Music, for him, like Bob Dylan, was a ballista for social change. Dr. Hazarika, intensely aware of the political dimensions of the state of Assam, composed and vocalised several thought provoking songs to voice the feelings of his fellowmen. He wrote ‘Bistirno parore', one of his most popular songs, loosely based on Paul Robeson's ‘Ol Man River,' about the travails of river Brahmaputra, symbolizing the poverty and oppression that Assam had witnessed. The song was translated to Hindi as “Ganga behti ho kyon”, much later and still amassed immense popularity among the contemporary music and classical music lovers alike. Having said that, it is to be noted here that Dr. Bhupen Hazarika derived a lot of inspiration from Assamese folk music too. He was also a crusader of sorts against a caste based social structure .His song “Dola” inclines towards a leftist tone, while songs ‘Manuhe Manohar Babe’ and ‘Autorikshaw solau aami duyu bhai’ have a humanist ring to them. 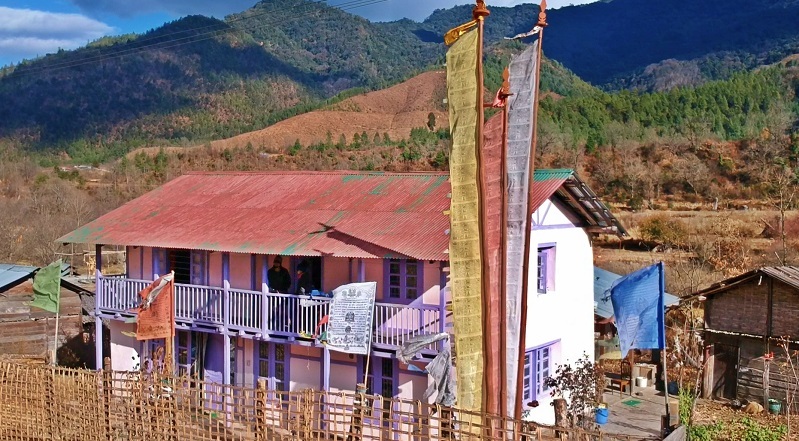 Even when he sang the jovial and romantic ‘Shillongore Monalisa Lyndoh’ a beautiful rendition of the archetypal Khasi female populace, he managed to bring out the cultural gamut of Meghalaya. That was the power of his music. He made waves in the contemporary Hindi music scenario as a composer and playback singer with national award winning Rudali, a film by Kalpana Lajmi. When Dr. Hazarika himself along with melody queen Lata Mangeshkar lent their voices to Gulzar’s lyrics, magic was simply an understatement to describe it. It’s no surprise that he was conferred a Dada Saheb Phalke award for his contribution to Indian cinema soon after. However, Rudali was not his first foray into Hindi music. About two decades earlier Hazarika had composed the music for the Vinod Khanna-Saira Bano-starrer Aarop. The song “Naino Mein Darpan Hai” with Bano on a cycle with Khanna introduced Shillong – then the capital of Assam. In the mid 1980’s he composed for Kalpana Lajmi’s Ek Pal and later collaborated with her again for the national award winning Daman. Among other cinematic ventures Gaja Gamini by M.F. Hussain is most notable. While in all these collaborations he mostly upgraded old Assamese tunes, it is hard to judge if he had become stagnated as a composer or he really wanted to gather wider audience for Assamese music. On the global cultural radar, Dr, Bhupen Hazarika represented India in Berlin at the World Conference of Composers. He was honoured with the opportunity to inaugurate the World Seminar in Congress Hall with his own songs on the liberation of Bangladesh. The news of his demise is still a shock to his mourners, as the clast rites of his mortal remains is being arranged. The bard of Brahmaputra’s golden voice and soulful lyrics not only did place Assam on India’s cultural kaleidoscope, but helped the greater India to integrate with this secluded segment of the nation’s geography. Today, the very utterance of North East India gives an impression of a musically affluent culture; we have the likes of Dr. Bhupen Hazarika to thank for that. This is his legacy, he is the legend.